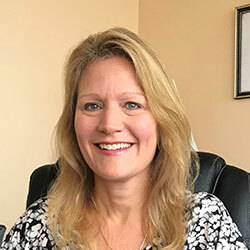 My name is Sue Moore and I am licensed as a Professional Counselor with the State of Ohio Counselor, Social Worker, and Marriage Family Therapist Board. I hold a Master of Education in School Counseling from Liberty University and work under the supervision of Mark Yoder, LPCC-S. I have always found myself drawn to people, especially those who are hurting, and have found that I am curious about their experience and how they view life. I felt called by God to use my love for people, my life experiences and my gifts to help others journey through their challenges and I feel very blessed to be able to join them as they navigate through. Working with children and teenagers is my passion. I feel that this is such an important time in life and really enjoy helping teenagers and young adults work through transitions and family issues and think through identity issues. I also really enjoy working with couples, families and individuals experiencing issues such as anxiety, depression, trauma, conflict, anger, divorce and other difficult life transitions, and grief and loss. I work to provide a safe place to explore issues and foster healing and growth. My own faith has sustained me through many difficulties and I feel privileged to be able to help those who desire to incorporate their faith into their healing and growth, using biblical principles and God’s grace. In my spare time, I love spending time with my husband and our seven children and our first grandchild. I also love spending time with friends, being outside, hiking, gardening, exploring parks, traveling, volunteering, and being involved with mission trips.